In a similar fashion, Ralph Lauren has tasked Rochester, NY’s Hickey Freeman, a 450-person-strong company that already churns out about 100,000 articles of clothing every year, with tailoring Team U.S.A.’s dark blue blazers and white chino shorts. This not only bodes well for the local community, but the whole of Rochester, as well. The public uproar led Ralph Lauren to enlist more than 40 domestic vendors—from yarn spinners in Pennsylvania to tailors in New York’s Garment District—to create the 2014 Sochi Games uniforms. As an additional mea culpa, the company donated $500,000 to the Council of Fashion Designers of America’s Fashion Manufacturing Initiative, an investment fund aimed at revitalizing New York City’s garment industry. 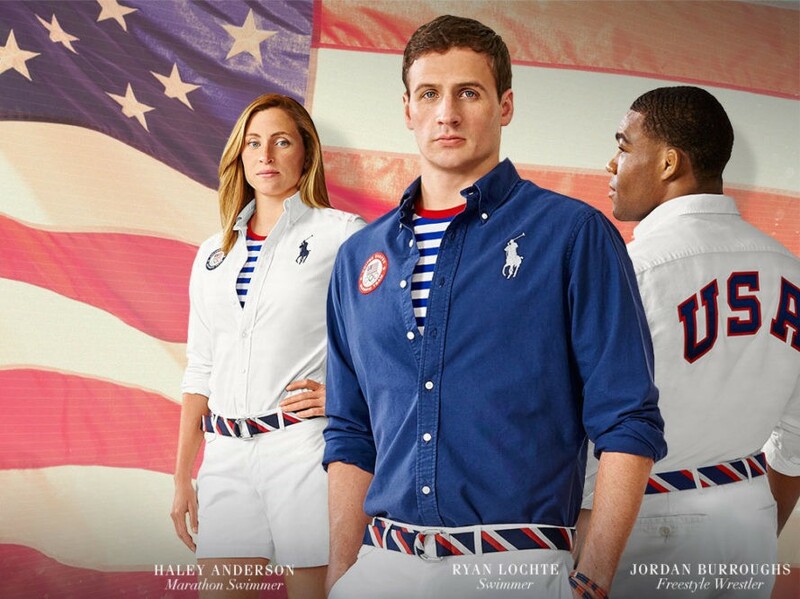 Fast-forwarding to present, swimmers Ryan Lochte and Haley Anderson, and wrestler Jordan Burroughs modeled the new men’s and women’s uniforms on NBC’s Today Show this morning. And while the USOC press release described the looks as “crisp, sporty, and classic,” we prefer the term droll. Very droll. Wouldn’t you say, old bean? Ralph Lauren just previewed what U.S. athletes will be wearing during the Olympic Games in Rio later this year, and the uniforms are, as kids today would say, NAGL. (That's "not a good look," if you're a fellow old.) On the upside, everything will be made in the United States. On the down? Team U.S.A. looks like a yachting party that lost its way en route to a game of lawn tennis with Muffy and Topper. At the Hamptons. On Fourth of July weekend. But let's focus on the positives. As Rancourt & Co., one of Ralph Lauren's 40-plus U.S. partners, notes in a behind-the-scenes video, the fashion house's patronage has been a boon to domestic businesses like the Lewiston, Maine�based shoemaker, which was able to expand its staff from 20 to 65. "We have 40 years of experience out on the floor right there; I'm a fourth generation," said Tina Charest, a footwear pattern specialist with the family-owned company. "We make great products, and the people really need to have that oomph behind them."